Check that the park/neutral position switch and the shift lever are in neutral. 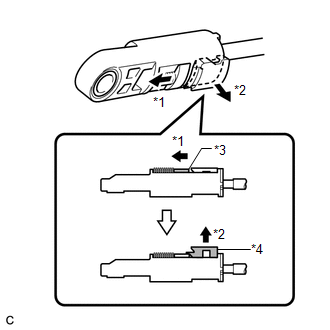 (a) Slide the slider of the transmission control cable in the direction indicated by the arrow and pull the lock piece outward. 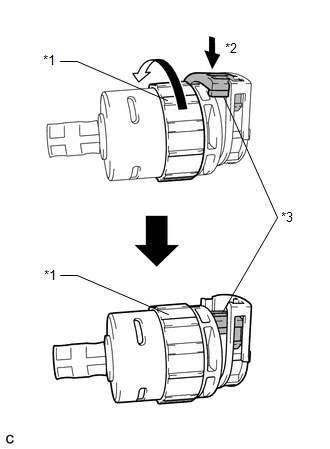 (b) Turn the lock nut of the transmission control cable counterclockwise. While holding the lock nut, push in the stopper. 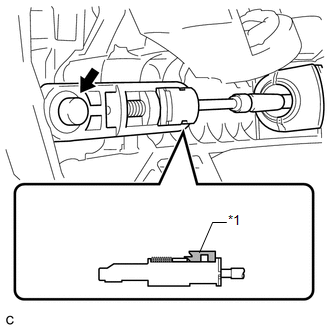 (c) Connect the outer part of the transmission control cable to the shift lever retainer. The lock nut is fully seated against the shift lever retainer. 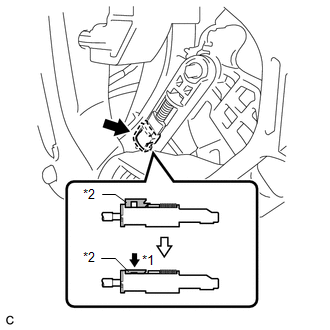 (d) Install the transmission control cable end to the shift lever assembly. Check that the lock piece is pulled up. Install the cable end all the way to the base of the pin. 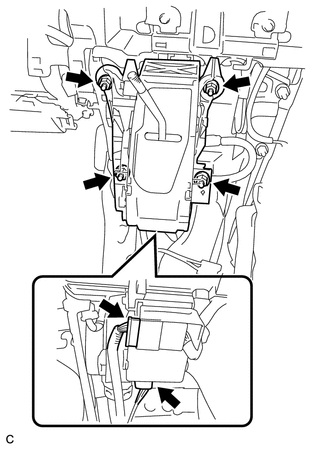 (e) Install the shift lever assembly with the 4 nuts. (g) Push the lock piece into the adjuster case. 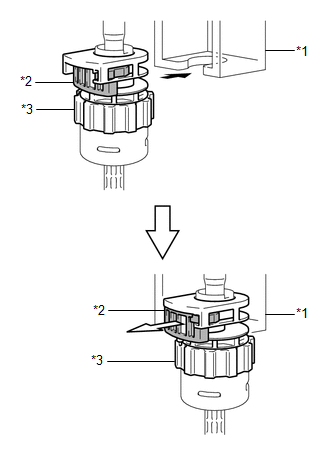 Securely push in the lock piece until the slider lock is engaged.